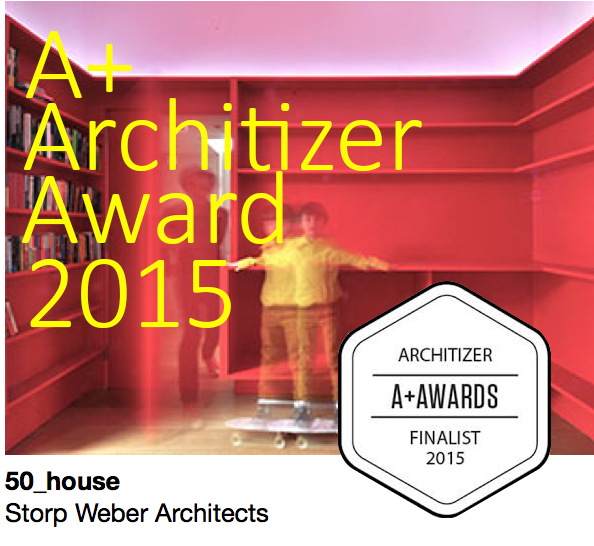 StorpWeberArchitecture is one of the finalists for the prestigious Architizer A+ Award 2015. Please have a look at the A+ website in the Residential Interior Category. A+Awards – Honoring the Best Architecture & Spaces. Now in its third year, The Architizer A+Awards are the definitive global architectural & product award program with 90+ categories and over 300 judges. It’s your opportunity to be recognized amongst the best in the profession.